Can Horizon: Zero Dawn really be a AAA game without cynicism? Up until last week, I didn’t have a very clear handle on what sort of game Horizon: Zero Dawn was. It was the one with the robot dinosaurs, that much I knew, but details of how it actually played still seemed somewhat murky. It also seemed massively ambitious, given that its Amsterdam-based developer Guerrilla Games is best known for linear first person shooter franchise Killzone. 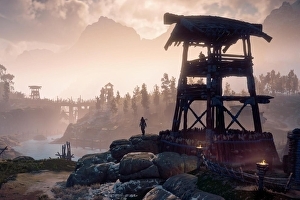 It wasn’t the first studio I’d have in mind to tackle a project like Horizon, given that the two properties were like night and day, with Horizon an open-world action RPG set in a vivacious post-apocalyptic world where nature – and those aforementioned robots – have reclaimed earth. 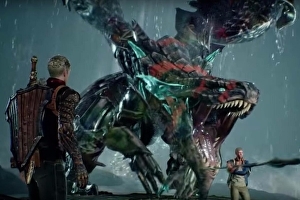 Microsoft has removed all trailers of Scalebound from its Xbox YouTube page following news of the earlier in the evening. Twitter posts from the official and Xbox Live head honcho link to Scalebound trailers that are marked as either removed or made private. Cancelling a highly promoted AAA game after four years of work is an already unprecedented move, but removing footage of its existence is especially odd. Perhaps it’s a licensing issue? We’ve asked Microsoft for comment. 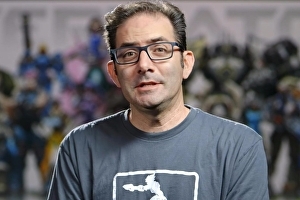 Overwatch is a great game, When it launched back in May of last year, millions of players fell in love with its heroes, its world and its loot boxes. But making a game that people like isn’t the only challenge facing developers in the world of competitive multiplayer shooters. I mean, it’s a pretty good place to start, but you’re only ever as strong as your last update, your last new feature. Blizzard has done a decent job on that front too, with a couple of new heroes, three new maps, the addition of competitive and arcade modes, and a variety of seasonal events throughout the year. Yet it’s something else that stands out to me, that puts Blizzard ahead of the rest of the pack. More than any other team in AAA game development, the Overwatch devs have done a phenomenal job at talking to their community. Whenever a topic blows up, the people actually making the game get in front of it. They talk like human beings about the things their playerbase cares about. And it works. I guess you could describe For Honor’s single-player campaign as a training ground for the main event. 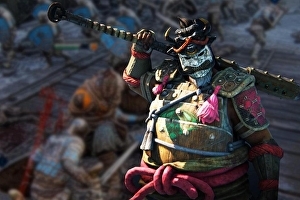 A place to get to grips with each of the game’s heroes and their distinct fighting styles, without the pressures of competition and voice chat. You could make that argument. But gosh, it’s a boring place to be. For Honor is at its best when you’re trapped in a duel with another player, feigning attacks and waiting for the right moment to strike. Jump in too early and risk leaving yourself open to a counterattack, but time it just right and you might stagger them long enough to land a vicious combo of blows. It’s a waiting game with the ultimate payoff: the sense that you’ve outwitted and outmaneuvered an opponent. This is, of course, difficult to replicate outside of a multiplayer setting, and Ubisoft hasn’t managed it here. This is a campaign that feels like an afterthought, an effort to justify the game’s AAA price tag. The story is entirely inconsequential – one mission has you slaying fellow Vikings to reclaim four barrels of potatoes, for example – and after 30 minutes playtime, I’m not convinced there’s much more to these characters outside of their passion for fighting and stabbing folk. I’ve already had my fill. 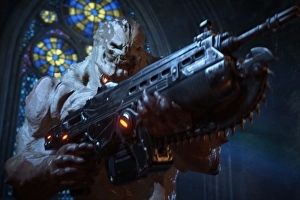 I’ve been playing Gears of War 4 a lot this week and I find myself agreeing wholeheartedly with Edwin’s ; they don’t make ’em like that any more. The wending, ammo laden campaign of Gears of War 4 feels like a rare treat – a throwback to a time when AAA games were built differently. It is not, however, without its problems. 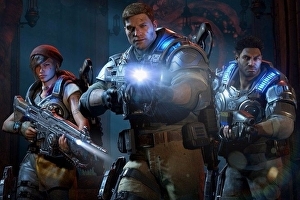 The prologue and first act of Gears of War 4, in my opinion, do the rest of the game a real disservice, spending too much time (and a good chunk of initial excitement) recapping the original trilogy and introducing the new characters. I explain a bit more in the video below. Opening hour or so aside, Gears of War 4 really is a lot fun to play. The full review should be up in a few days’ time, once Edwin’s had time to experience the full game with live servers. 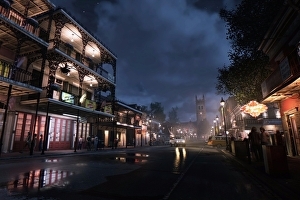 Mafia 3 just launched on today and the reaction has not been pretty with the game currently receiving mostly negative reviews with the most common complaint being that the framerate is locked to 30fps. This isn’t the only reason users are knocking it, as some complained about crashes, glitches and the game not looking as good as it did in trailers. Those issues are all relatively par for the course for an ambitious AAA game going public in its first day. However, it’s the framerate lock specifically that’s far and away the main sticking point. As of writing this, 269 of the game’s 469 reviews have been negative. The problem is getting so much traction that developer Hangar 13 has responded with assurance that the game will receive further optimisation options on PC, though no specific target goal was given. 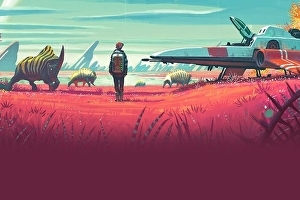 Five years in the making by indie developer Hello Games, No Man’s Sky is a game of incredible scale from a relatively small team. Built on an in-house engine, the final product weighs in at a meagre 5GB on your hard drive – a tiny amount compared to any typical AAA release. 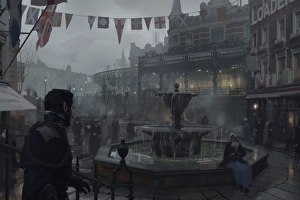 This is far from ordinary, and with the game relying heavily on procedural generation, very little of the game’s visual make-up uses pre-made textures or assets. Instead, the star of the show is the set of algorithms at its core – lines of code capable of generating terrain, plants and even unique wildlife on-the-fly. Each detail is unique to countless millions of planets across a virtual galaxy. No Man’s Sky achieves this not through an inflated budget or a large pool of staff, but through a smart use of technology. Visually, we’re talking about a largely overlooked approach to graphics rendering that makes this level of variety possible. For No Man’s Sky, we’re talking about voxels. Rather than concentrating solely on the polygons seen in 99 per cent of games made today, No Man’s Sky’s core utilisation of voxels makes this procedural generation – and also destruction – much easier. However, it also comes with several other pros and cons. Fundamentally, the difference between a polygon and a voxel is simple: a polygon is made up of three points or more in a 3D space, where each of these points is called a vertex. A triangle is made of three vertexes for example, and of course a square would be four. But in No Man’s Sky’s case, a voxel is a single point in 3D space, given a value for size, colour or opacity, much like a giant pixel. 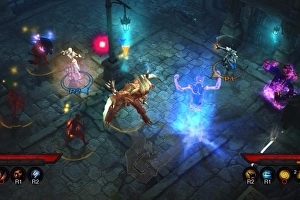 As found on the studio’s , there’s a listing for game director on an unannounced Diablo project. “Blizzard Entertainment is seeking a game director with outstanding communications skills, proven experience in creative direction, strongability in system design, and a stellar track record of shipping AAA games to lead the Diablo series into the future,” the listing said.